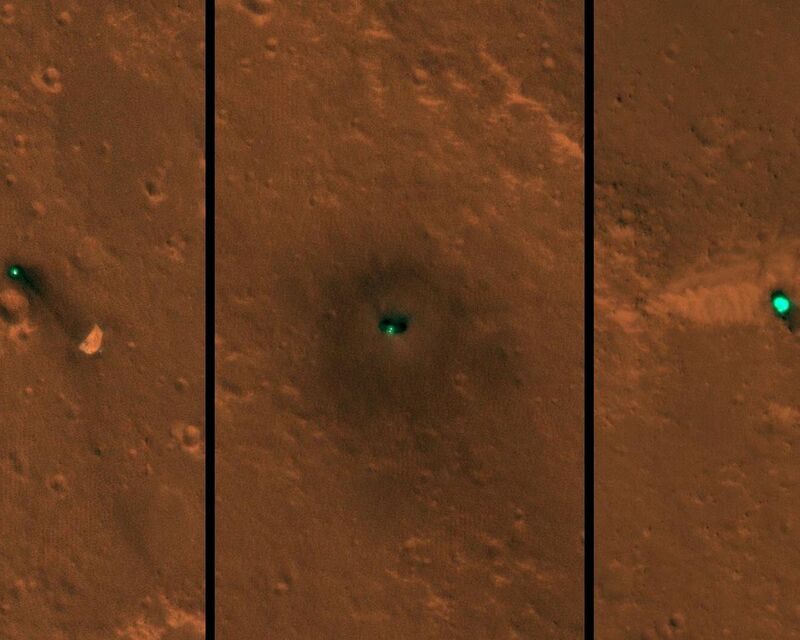 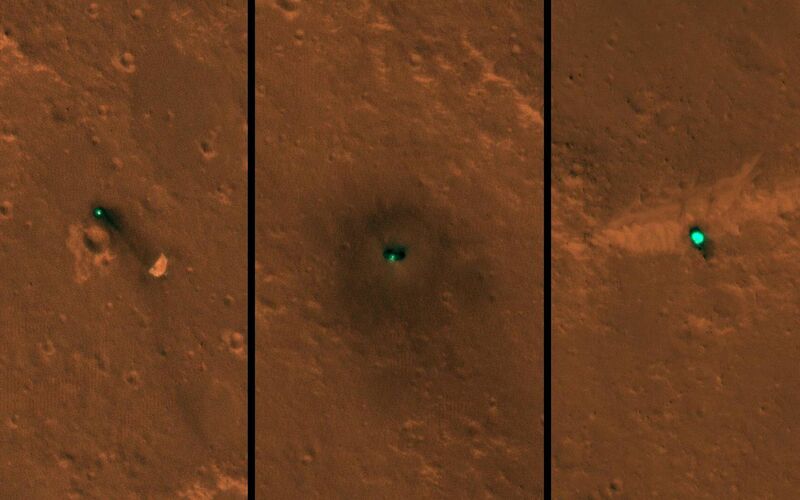 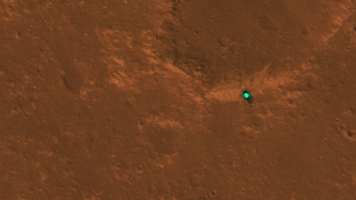 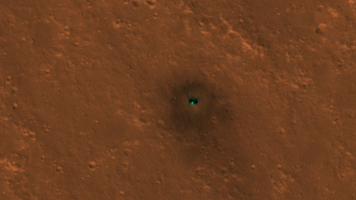 In images released today, the three new features on the Martian landscape appear teal. That's not their actual color: Light reflected off their surfaces cause the color to be saturated. The ground around the lander is dark, blasted by its retrorockets during descent. 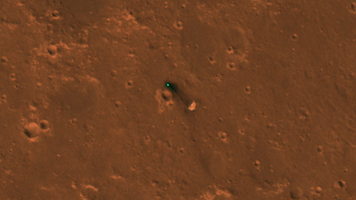 Look carefully for a butterfly shape, and you can make out the lander's solar panels on either side. 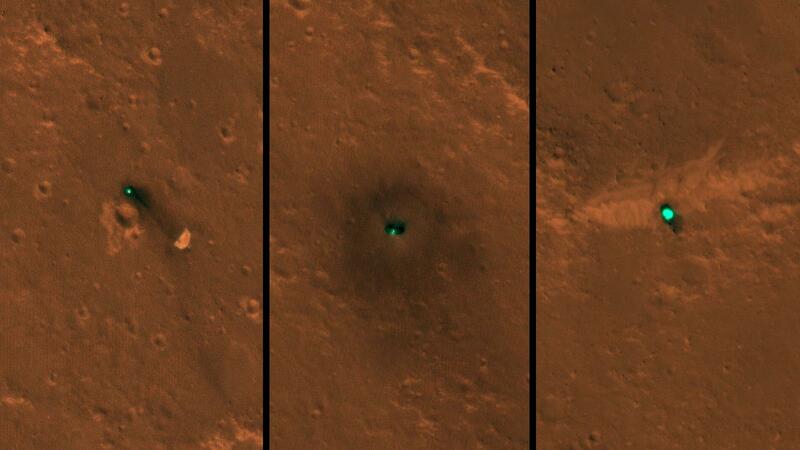 Unannotated, individual images of the lander, heat shield and parachute are also available.